Hello Susana. Thank you for inviting me into your parlour today. 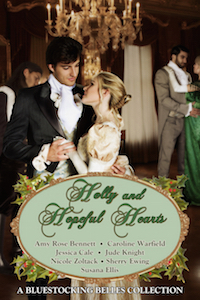 I’d like to talk about my Victorian Adventure series, which features the children of the Marquess of Penworth. They travel to exciting places and encounter dangerous villains, but there’s an aspect of their stories that you may not have noticed. You see, in a previous life, before I discovered the joys of writing historical romance, I used to work on a newspaper. The part of the job I liked best was writing a weekly cooking column. That meant that I spent a lot of time thinking about food—not exactly a hardship for me! As a result, I like to make sure my characters are well fed. You just know they must work up an appetite when they’re escaping from the thieves and kidnappers and other miscreants who pop up in their stories. There are elaborate dinners, of course. We are, after all, talking about aristocrats! But sometimes they just have a snack. She heaved a sigh. It wasn’t Harry’s fault that she couldn’t win his interest. It was her own fault. She had mistaken his feelings. Although she was in love with him, his feelings were only brotherly. No passion. She had no right to complain. She wasn’t just being unreasonable. She was acting like a spoiled brat. Knowing it did not make her feel any better. She turned and put up her hands just in time to catch the object Harry had sent flying in her direction. It almost splattered in her hands. “An orange. Lovely.” She smiled in delight and started peeling it immediately. “Well, if you don’t know…” She turned away and shrugged. There was a brief silence, and then they both began to laugh. By the time they had demolished the crusty rolls and licked up the last drop of juice from the oranges, Elinor’s mood had improved mightily. She stood up and stretched before looking around. Harry was lying back and seemed to have fallen asleep. She picked up his jacket and began checking the pockets to see if he had anything else to eat. Preferably something sweet. Some time later, when Lady Penworth entered the courtyard, her daughter was sitting on the side of the fountain in the dappled shade of an overhanging tree. “Good morning, Mama.” Emily waved at a tree. “The one in the corner over there is a lemon tree but this one and the others are all orange trees. And this is Shatha. She is the cook and makes the most delicious soft, flat bread.” She smiled at the small woman dressed in multicolored garments who was bent over a brazier on which something sizzled with an appetizing meaty smell. Lady Penworth smiled at the cook and nodded her head in greeting. “As-salaam alaikum,” she said, pronouncing the Arabic greeting carefully. Shatha beamed back and bowed. “Wa alaikum assalaam,” she said. What followed was a spate of Arabic that sounded like questions. When the only response was blank looks, Shatha popped up and directed Lady Penworth to sit on a bench in the shade of the loggia that surrounded three sides of the courtyard. She placed a folding table beside her, which was in no time filled with bowls of yogurt and dried fruit, boiled eggs, and a plate of steaming bread. “Have some bread and honey,” Emily said. “The honey is incredibly delicious.” She was trying to be her usual cheerful self, but given the peculiar look her mother was giving her, perhaps she was not entirely successful. Lady Penworth did not make any comment. She did, however, beam with pleasure when Shatha produced a steaming pot of tea and some cups. “Would you care for some?” she asked, as she filled a cup. My next book, A Scandalous Adventure, will be available on August 2. It sends the third daughter, Lady Susannah, on an adventure in a small German principality in the Swabia region, where a princess has been kidnapped and villains are planning to seize the throne. In this scene, Susanna and Max von Staufen are riding through the forest with a few of his men, on their way to recuse the kidnapped princess. But they cannot manage without something to eat! Eventually—to her relief—they stopped beside a small stream to rest the horses and themselves. She sat down on a log. It was no softer than the saddle, but at least it did not move. Breakfast appeared from Josef’s saddlebags—bread, a hard yellow cheese, and garlicky sausages that he cut into chunks with his hunting knife. To wash it down, there was icy water from the stream. Like the others, she ate with her fingers and drank from a shared tin cup. It was a meal unlike any she had ever eaten, but somehow one of the finest. Max sat beside her, close enough for her to feel the warmth of him. It was enough to make her feel safe. He always made her feel safe. “Goodness. All that from a sausage?” She flushed, embarrassed by the thought. She was about to protest that she was really a very conventional person, a proper English lady, but then a smile began to spread. Was she a warrior? Was that who she really was? A warrior countess. She liked that image of herself. It was certainly better than Susannah, the dutiful daughter, who always knew the proper thing to do and never caused anyone a moment’s worry. That Susannah who had somehow become very boring. What about you? 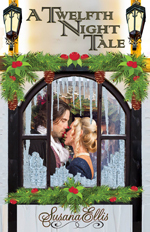 Do you like to read about food in historical romances? Or are there other things about life in the past that you want to read about? Leave a comment telling me what you think and I’ll send a copy of Lady Emily’s Exotic Journey to a random commenter. And just for fun, I’m adding on a recipe for Hussar Rounds, a cookie that Lady Susannah might have enjoyed with her coffee while she was in Swabia. Note: If you are going to store them (they keep well), wait with the jam until just before serving. Lillian Marek was born and raised in New York City. At one time or another she has had most of the interesting but underpaid jobs available to English majors, including too many years in journalism. She greatly prefers writing fiction, where the good guys always win and the villains are properly punished. The first book in her Victorian Adventure series, Lady Elinor’s Wicked Adventures, won first prize in both the Launching A Star and the Windy City Four Seasons contests. She was also a first prize winner in the Beau Monde’s Royal Ascot contest. Gina will be awarding a $10 Amazon or B/N GC to a randomly drawn winner via Rafflecopter during the tour. Click here for the Rafflecopter. Click on the banner above to follow the tour and increase your chances of winning. Operating as a British spy, Tristan St.James, the new Marquis of Wrenworth, barely escapes Afghanistan with his life in the spring of 1869. He plans to seek vengeance against the traitor who exposed him and for the agent he’s forced to kill. Returning to England, as a lord, he must marry. Haunted by guilt from the horrors of war, he avoids love at all costs, but finds himself drawn to the only woman who is disinterested in him. 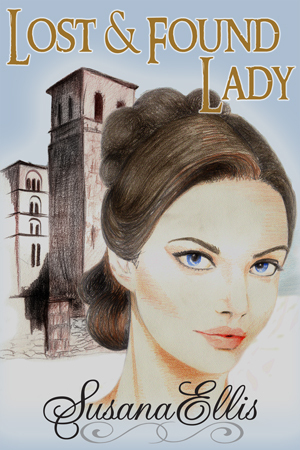 Lady Evelyn Hurstine has waited over two years for the return of her love, a man who left for war in the East. But during that time, she suffered a brutal assault, resulting in a child and fear of any man touching her except for the man she once knew. The pursuit by the marquis scares her but her excuses against his proposal dwindle. Their marriage strengthens into love until she discovers her husband isn’t the safety she believed but the one who killed the man she once loved. Caught in a world of intrigue and mayhem, Tristan must prove his love to her before the traitor destroys them both. Tristan turned. Barreling down the lawn, creating a wake in in his path, Evelyn’s father stormed toward them. Not far behind him was Huntington and his son. Tristan gauged their pace and the distance. He had a few seconds and could hear Evelyn’s foot tapping against the grass. Frankly, he was surprised she hadn’t crossed her arms in anger or left him. With every second, her behavior and decision to stay put only made him more interested in her. Damn! Her dowry and position made her exactly what he needed his English bride to be like, with a ramrod backbone and a defiance of societal rules. As Evelyn’s father got closer, there was only one thing Tristan could think of to ensure she become his. In one swift move, he turned, pulled her close, bent her backward, and pressed his cheek to hers. She gasped. “Considering the situation, you need me as much as I need you. We are the perfect match,” he whispered, smiling and gesturing as if to kiss her. They both knew in that moment she became his forever. The compromising position between two single people in a public setting was shocking to the ton. Tristan heard the grass crunching under the footsteps of the Baron and his party. He didn’t look in their direction but eased back from Evelyn, watching her reaction. Suppressed fury blazed in her eyes, and her body was rigid. Despite the fire in her gaze, she relaxed a little within his arms. “But it would give me satisfaction nevertheless,” she whispered defiantly, although she didn’t move. The ugly duckling is a favorite fairy tale of mine. I’ve seen the ugly duckling plot in a lot of books and films. I use it in The Brass Octopus. The so called duckling was always beautiful, she was just with the wrong family. If she’d been with a family of swans no one would have ever used the word ugly. That’s what happened to my heroine Piety. Her verbally and emotionally abusive mother called her ugly. As she grew up, Piety protected herself by trying not to bring attention to herself – dressing drably and throwing herself in to her work. She’s the head librarian at London’s library. 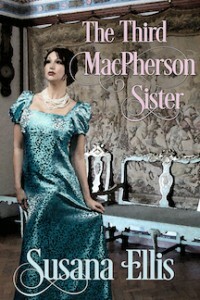 The story is set in the Victorian era. So a prim and proper Victorian librarian transforms to an enticing beauty. What makes my version different? I’m going to get to that. First, let me tell you about the hero. Blake Blackmore is a bad boy, a rich rogue who spends his nights gambling and womanizing. I’m sure you’ve already guessed, once he meets Piety he’s willing to give all that up for her. Now, back to the earlier question. What makes The Brass Octopus different is – in The brass octopus, Piety lives in an alternate dimension in which inventions depicted in Jane Loudon’s book the Mummy have been created. So even though it’s Victorian London, there is some advanced technology for the era, woman wear pants, and tinkering or inventing gadgets is a favorite pastime for proper Victorian ladies along with decoupage, scrapbooking, and hand painting china. Piety’s sister, Polly, has created a beauty machine called the brass octopus. Spinster Librarian Piety Plunkett is happy alone with her books, until her sister Polly transforms her with a bras octopus beautifying machine. With her new look, the librarian catches the lusty attentions of London’s most notorious rogue. 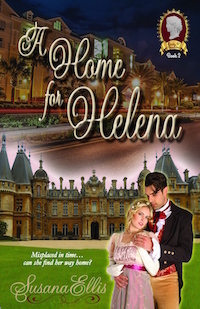 Blake Blackmore enjoys the favors of beautiful women from the brothels of London to high society’s most fashionable debutantes but only the spinster librarian consumes his mind night and day. Piety insists she will not wed but devote her life to her position as head librarian, but Blake will stop at nothing to win her. He takes matters into his own hands and tutors her in carnal pleasure in three passion filled lessons. Now that she is sharing her body, instead of just her books, Piety is shocked yet pleased at how naughty she can be under Blake’s personal tutelage. But if anyone finds out about what goes on in the library after closing time, her reputation would be ruined. Is that Blake’ ultimate plan? “You will see. Just sit still so the machine can work its magic.” Polly pressed the ruby button on top of the octopus’s head. Cassandra will be awarding at each stop a signed Silk & Scorn postcard and a Silk & Scorn magnet to a randomly drawn commenter, and a Grand Prize of a $15 Amazon Gift Card, a hard copy* and ebook copy of Silk & Scandal, the Silk Series Book 1, a Silk & Scorn mug, a signed Silk & Scorn postcard and a Silk & Scorn magnet will be awarded to one randomly drawn commenter during the tour. (international giveaway). Click here for the Rafflecopter. Click on the banner to follow the tour and increase your chances of winning. First off, thank you to Susana for having me. For those of you who don’t know me, I’m Cassandra Dean and I write historical romance ranging from sweet to steamy. I also play about in the eras, roaming from Ancient Rome to Victorian to the Old West and beyond. My books take readers on an emotional rollercoaster, from the lowest of lows to the joyous of highs. And, of course, my characters fall into the forever kind of love. 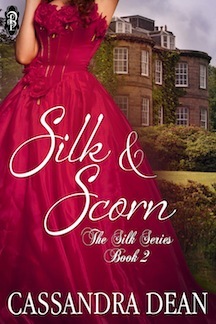 Today I’m chatting about an interesting historical tidbit I encountered while researching Silk and Scorn, my latest release and second in The Silk Series. I’d actually like to talk about the title a bit and why the series is called The Silk Series. I decided to centre the series around people who work in various employment within the Law during the Early Victorian period. As such, the first book features a barrister, the second (Silk and Scorn) a solicitor, the third will feature a scribe, the fourth a law professor and the fifth a police detective. The ‘silk’ portion of the title refers to this person employed by the law – Silk is a nickname given to those barristers (a type of lawyer) who obtain the position of Queen’s Counsel (or King’s Counsel when a man sits on the English throne). The first official Queens Counsel (or Kings Counsel as it was then) was Sir Francis Bacon, a bit of a notable figure himself. He was appointed 1597 and formally styled a Kings Counsel in 1603. Up until the 1830s, Queens Counsels were thin on the ground but around that time it became the standard means of recognising barristers as a senior member of the profession and numbers multiplied accordingly. The first woman appointed to the rank was in Canada in 1943. The first women appointed in England was in 1949. Queens Counsels wear formal robes of silk while in court, as opposed to junior barristers who wear robes made of cotton or a similar fabric. This is where the nickname ‘Silk’ comes into play. As you can see, there is a lot of interesting information regarding this. I had such fun discovering it all and I hope you have too! No matter how much their mothers wanted Sarah and Arthur to wed, Sarah had loathed him. However, circumstance and her late husband’s father conspire against her, and she is forced to turn to Arthur for help. Perhaps she needs his legal expertise, but she refuses to acknowledge how handsome her oldest foe has become…or her reaction to him. His childhood nemesis is the last person Arthur Davenport expected to require his services. When a spurious claim against her late husband’s estate brings Sarah Wetherall to his door, he can’t refuse the pretty widow. Thrown together by fate, will they discover there is a fine line between scorn and passion? Her shoulders straightened infinitesimally but she didn’t respond, instead continuing to regard the wall. With a sweep of her skirts, the lady and her hat settled into the chair before his desk. Frowning, he sank to his own seat. That enormous hat was absurd, still disguising her face. Why did women think such things were attractive? In addition to being ludicrous, it no doubt put undue pressure upon her neck. The hair at the back of his neck stood up. No. Oh, Christ, no. The hat tilted, exposing her face. Every muscle in Arthur’s body seized. Mrs. Wetherall, formerly Miss Sarah Stanhope and the bane of his childhood, glared at him from beneath her ridiculous hat. Cassandra grew up daydreaming, inventing fantastical worlds and marvelous adventures. Once she learned to read (First phrase – To the Beach. True story), she was never without a book, reading of other people’s fantastical worlds and marvelous adventures. Fairy tales, Famous Fives, fantasies and fancies; horror stories, gumshoe detectives, science fiction; Cassandra read it all. Then she discovered Romance and a true passion was born. So, once upon a time, after making a slight detour into the world of finance, Cassandra tried her hand at writing. After a brief foray into horror, she couldn’t discount her true passion. She started to write Romance and fell head over heels. The love affair exists to this very day. Cassandra lives in Adelaide, South Australia. 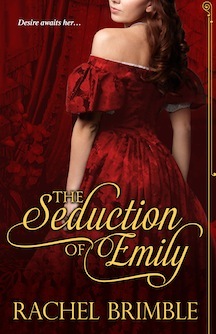 Rachel: The Temptation of Laura is the second book in my ongoing Victorian series with eKensington. The books are set in and around the famous city of Bath, England. 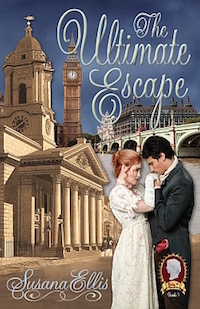 I am lucky enough to live just a short thirty-minute drive from the city so it was inevitable I would write historical romances with Bath as the influence. My romances are darker than most because I love to write about the poorer people living in the late 1800s rather than the gentry. Laura is a prostitute striving for a better life and Adam is an actor whose ambition and fear of failure leads him to make dire mistakes. I enjoy reading books where the hero and heroines have to struggle for their happily ever after…I hope your readers will agree the fight is worth it, come the end. Rachel: Right now I am reading The Victorian House by the fabulous historian, Judith Flanders for research, as well as Lady of the Rivers by one of my all time favorite authors, Philippa Gregory. Rachel: I am lucky enough to write full-time around my two teenage daughters so when they are at school, I work from 8.30-3.30 and then grab as much time at the laptop as possible around household chores and running them where they need to be. At the weekends, I write if we aren’t doing anything as a family but try my hardest to spend time with my husband and kids. Rachel: My all-time favorite writers are Nora Roberts and Stephen King – both these authors never fail to deliver and every time I pick up one of their books, I know I am in for a treat both as a writer and reader. Their styles are entirely different but the stories are heavily character-driven which draws me in and makes me care. Rachel lives with her husband and two young daughters in a small town near Bath in the UK. After having several novels published by small US presses, she secured agent representation in 2011. 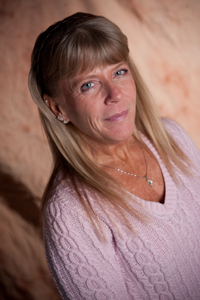 In 2012, she sold two books to Harlequin Superromance and a further three in 2013. 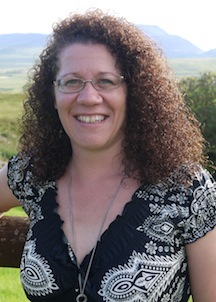 She also writes Victorian romance for Kensington–her debut was released in April 2013 and she has since signed for three more.